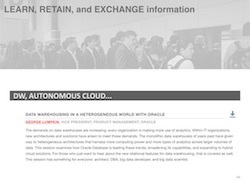 Here it is…..THE ultimate, comprehensive review for big data warehousing for #OOW18. 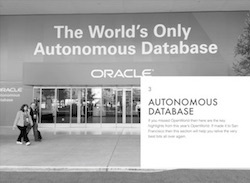 Overview of the announcements for Autonomous Database - contains the links you need to learn even more about how the Autonomous Database can simplify and speed up your big data warehousing projects! Full list of Oracle Product Management and Development presenters, links to all their social media sites are included alongside each profile. 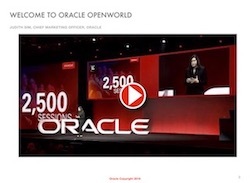 All the downloadable content from this year’s Must-See sessions and Hands-on Labs by the Oracle Product Management and Development teams. 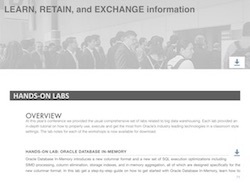 All the links you need to keep up to date on Oracle’s strategy and products for Big Data Warehousing, SQL and SQL Analytics and Big Data. This covers all our websites, blogs and social media pages. 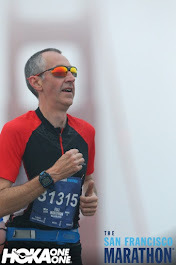 Information to help get you ready for OpenWorld 2019.
iBooks for all Mac OSX and iOS devices, click here to go to the iBook Store. PDF format for non-Apple users, click here to download. Text format - designed for the DBA who is command-line only, click here to download. Hope you find this useful and don’t forget to checkout Chapter 7 which will help you build your personal business case for coming to OpenWorld 2019 - THE best tech conference on the calendar.